We are extremely grateful to Alan McCardle [Hay Hotfooters] for his sponsorship of the race. He has kindly donated bottles of specially produced Hatterall Hammer cider made by The St Margarets Cider Co as prizes for this event. His highly recommended local Herefordshire ciders are available from Alan at alanmccardle505@gmail.com or phone 01981510510. 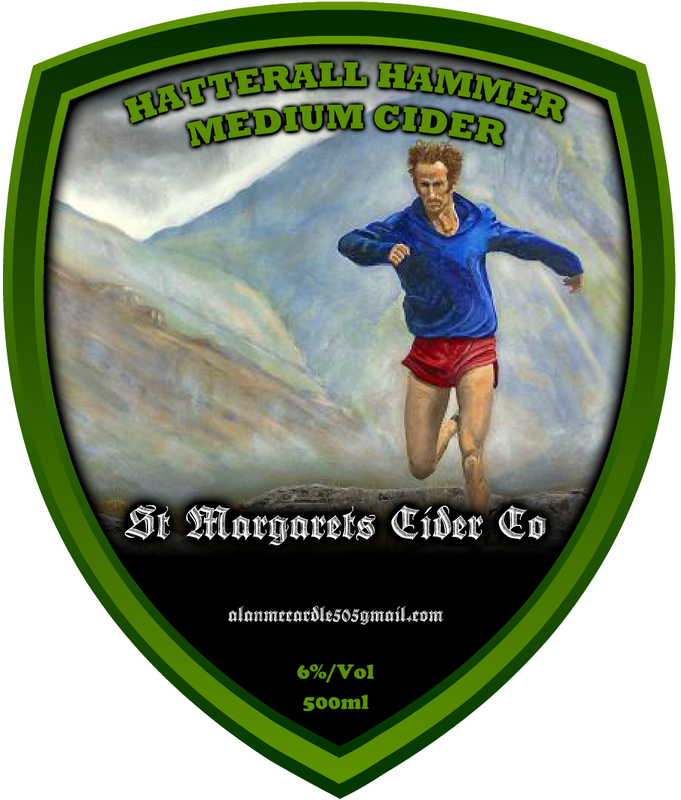 The splendid label design, featuring the incomparable Joss Naylor, was designed by the well known fell running artist, Mick Wren, who has kindly given permission for its use in this connection. To see more of Mick’s art work, go to www.mickwren.com. Don’t forget Hatterall Hammer is 28th February..scroll down for further details!